2007, 717 pages. Genre : Action. When Arab extremists kidnap his only friend in CI (Covert Intelligence), it's up to Jason Bourne to find and rescue him. But the kidnappers have already invaded Bourne's mind, and they are able to anticipate his every move. The book is constant action, so at 717 pages, you're certainly getting your money's worth. There's a plethora of plot twists to keep you reading. As with any Bourne novel - there are well-described locations (Ethiopia, Odessa, Istanbul) to fall in love with. There are four major plotlines going on at the same time, yet you have no trouble keeping track of them. There's a lot of action, but not much progress. The core of the trilogy written by Robert Ludlum - the inner struggle between the assassin Jason Bourne and the "normal" David Webb, is missing here in book #5. Only Jason Bourne exists. The technical portions of the story will strain your limits of believability. EvL's attempt to write ebonics is just irritating. Then there are all those spy-novel clichés. 1. Western Girl falls in love with Arab terrorist. This is always the kiss of death. If the evil BF doesn't kill her first-hand, he betrays her and the last thing she sees is his uncaring face. Just once I'd like to see a different ending. Maybe she betrays him. Maybe she perishes, fighting by his side. I don't care. Any new angle will do. 2. The hero mistakenly thinks he killed an innocent bystander. Of course, he didn't. Evil people did and made it look like he did. For goodness sake, Bourne's an assassin. There is bound to be some collateral killing. If he wants to cry in his beer afterwards, so be it. But enough of the "only evil bullets kill innocent people" concept. 3. The Ultimate Evil deliberately lures the hero to his central headquarters so he can finish him off. This sounds like something out of a bad Austin Powers movie. Folks, if I'm the UE, there's no way I'll ever let the hero get within 100 miles of my HQ, let alone show him the way. If we're going to duke it out, we'll do it out in the boonies somewhere, so that if/when the hero kills me, my evil plan will still go forward. In retrospect, this story should not have had the Bourne name associated with it. There's nothing inherently wrong with clichés and unbelievable technology. Clive Cussler enthusiasts have enjoyed them for decades. But the Ludlum-penned Bourne trilogy doesn't rely on Batmanesque gizmos, and is really about one man's reconciling his polar-opposite inner beings. The Bourne Betrayal has strayed a long way from Ludlum's premise. It is a decent read, as long as you are able to think "Dirk Pitt" instead of "Jason Bourne". "If the evil BF doesn't kill her first-hand, he betrays her and the last thing she sees is his uncaring face." Yes! It's really the uncaring face thing that got me. Oh man, this is so true! "There's nothing inherently wrong with clichés and unbelievable technology. Clive Cussler enthusiasts have enjoyed them for decades." Great review. I just love the Bourne movies but haven't read the books yet. Are the 2 significantly different? the first Bourne movie halfway follows the first book and a smidgen of the second. The 2nd and 3rd movies are totally unrelated to the books. a couple examples : in the books, Marie is still alive and well at the end of Book 2. in the movies, she's bumped off at the start of Movie 2. and Book 2 is entirely set in China, with a plotline that's never touched in the movies. "But the Ludlum-penned Bourne trilogy doesn't rely on Batmanesque gizmos, and is really about one man's reconciling his polar-opposite inner beings." Based on that, perhaps I'll read the Bourne trilogy since I haven't yet. I've only seen 2 of the movies but can't remember which ones. They were pretty exciting. So you say the books are not at all like the movies - but are they better than the movies? Do YOU like them more? I watched the first movie and didn't particularly like it. I'm not an action movie kind of person. It had an interesting concept, though. I'm not sure these are the books for me, though. Beyond the plot differences (copious as they are), I think it's a matter of mood. The Bourne Identity, to me, was sort of like Dr. Jekyll and Mr. Hyde - the adventure story is well written enough to make you interested in the real purpose of the novel, that's far mroe subtextual. I didn't really like Robert Ludlum, but he was an interesting writer. The movies... yeah. Dirk Pitt, all the way. Interesting that the movies and books differ so much. Particularly the part with Marie since her death was such a huge motivation for him in the movie. the movies suppose that the audience is there for non-stop action; not for complex plots and psychiatric drama. to that end, i think they succeeded. the books are just the opposite. as Jason says, it's a matter of mood. at the risk of sounding like a politician, i liked both the books and the movies. i also agree with Jason - Ludlum is an interesting author, but i can't say that he's one of my favorites. the first book was excellently done. but the second, although as complex, had some weaknesses. 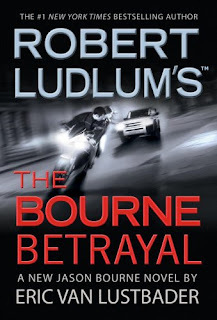 the biggest of which was - Ludlum spends the first 500+ pages dealing with Bourne taking out the #2 Bad Guy; then spends less than 100 pages on Bourne vs. the Ultimate Evil. almost like it was an afterthought. i thought it was a bit sloppy.